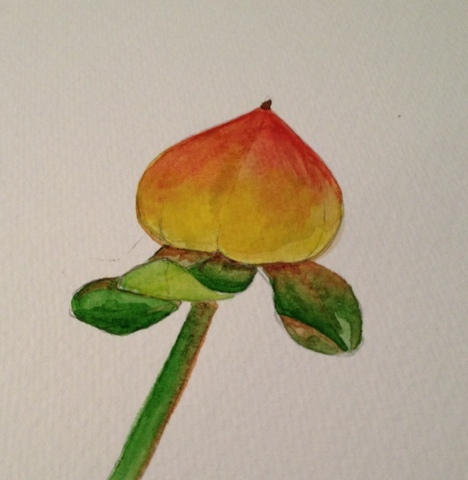 I couldn't resist trying to paint one of the flowers from the bouquet I bought. Water colors sometimes scare me. There is no control z if you make a mistake, and it is too easy to keep painting and makeit all muddy. I thought it was best to start with a simple shape.